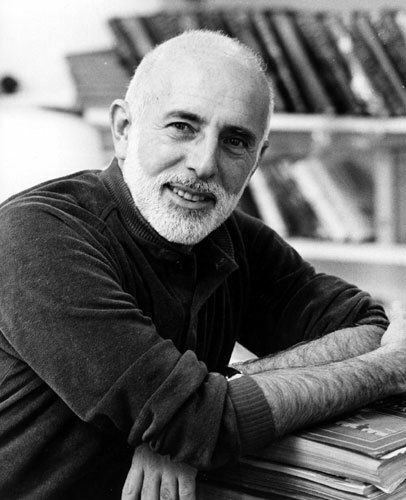 Jerome Robbins (October 11, 1918 – July 29, 1998) was an American choreographer, director, dancer, and theater producer who worked in classical ballet, on Broadway, and in films and television. 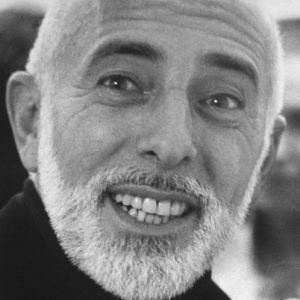 Among his numerous stage productions he worked on were On the Town, Peter Pan, High Button Shoes, The King And I, The Pajama Game, Bells Are Ringing, West Side Story, Gypsy: A Musical Fable, and Fiddler on the Roof; Robbins was a five time Tony Award winner and a recipient of the Kennedy Center Honors. He received two Academy Awards, including the 1961 Academy Award for Best Director with Robert Wise for West Side Story. A documentary about his life and work, Something to Dance About, featuring excerpts from his journals, archival performance and rehearsal footage, and interviews with Robbins and his colleagues, premiered on PBS in 2009 and won both an Emmy and a Peabody Award the same year. Robbins was born Jerome Wilson Rabinowitz in the Jewish Maternity Hospital at 270 East Broadway on Manhattan’s Lower East Side – a neighborhood populated by many immigrants. He was the son of Lena (Rips) and Harry Rabinowitz. Robbins began studying modern dance in high school with Alys [CK] Bentley, who encouraged her pupils to improvise steps to music. 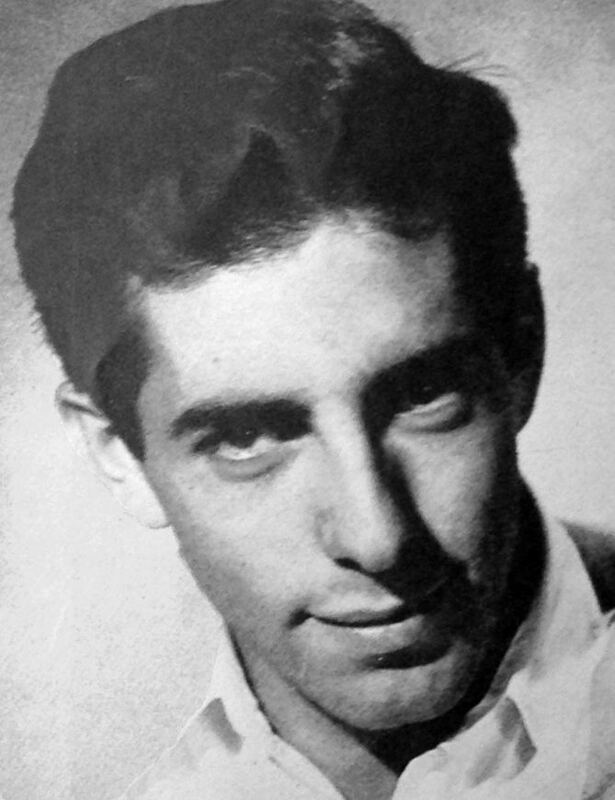 Said Robbins later: "What [she] gave me immediately was the absolute freedom to make up my own dances without inhibition or doubts.” After graduation he went to study chemistry at New York University (NYU) but dropped out after a year for financial reasons, and to pursue dance full-time. 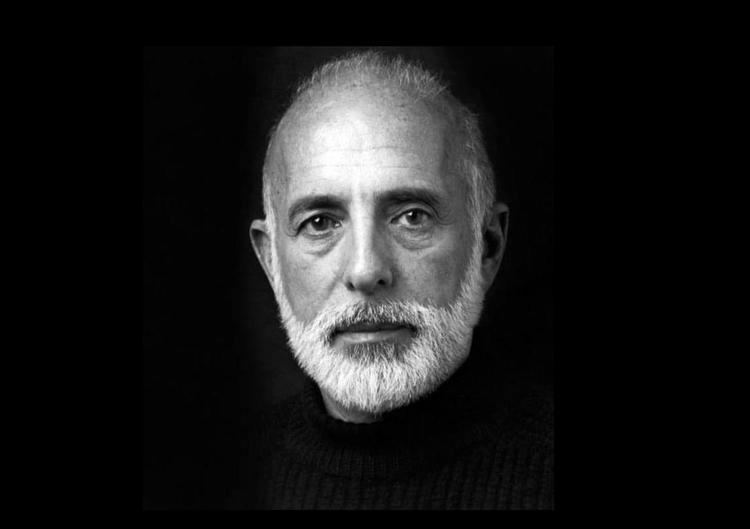 He joined the company of Senya Gluck Sandor, a leading exponent of expressionistic modern dance; it was Sandor who recommended that he change his name to Robbins. Sandor also encouraged him to take ballet, which he did with Ella Daganova; in addition he studied Spanish dancing with Helen Veola; Asian dance with Yeichi Nimura; and dance composition with Bessie Schonberg. While a member of Sandor’s company Robbins made his stage debut with the Yiddish Art Theater, in a small role in The Brothers Ashkenazi. In 1937 Robbins made the first of many appearances as a dancer at Camp Tamiment, a resort in the Poconos known for its weekly Broadway-style revues; he also began dancing in the choruses of such Broadway shows as Great Lady and Keep Off the Grass, both choreographed by George Balanchine. Robbins had also begun creating dances for Tamiment’s Revues, some comic (featuring the talents of Imogene Coca and Carol Channing) and some dramatic, topical, and controversial. One such dance, later also performed in New York City at the 92nd Street Y, was Strange Fruit, set to the song performed indelibly by Billie Holiday. In 1946, Robbins joined Ballet Theatre (later known as American Ballet Theatre). From 1941 through 1944, Robbins was a soloist with the company, gaining notice for his Hermes in Helen of Troy, the title role in Petrouchka, the Youth in Agnes de Mille’s Three Virgins and a Devil, and Benvolio in Romeo and Juliet; and coming under the influence of the choreographers Michel Fokine, Antony Tudor, and George Balanchine. Later that year, Robbins conceived and choreographed On the Town (1944), a musical partly inspired by Fancy Free, which effectively launched his Broadway career. Bernstein wrote the music and Smith designed the sets. The book and lyrics were by a team that Robbins would work with again, Betty Comden and Adolph Green, and the director was the Broadway legend George Abbott. Because Robbins, as choreographer, insisted that his chorus reflect the racial diversity of a New York City crowd, On the Town broke the color bar on Broadway for the first time. Robbins' next musical was the jazz age fable Billion Dollar Baby (1945), and during rehearsals for the show an incident happened that became a part of Robbins – and Broadway – lore: the choreographer, preoccupied giving directions to the dancers, backed up onstage until he fell into the orchestra pit. Two years later, he received plaudits for his humorous Mack Sennett ballet in High Button Shoes (1947), and won his first Tony Award for choreography. That same year, Robbins would become one of the first members of New York's newly formed Actors Studio, attending classes held by founding member Robert Lewis three times a week, alongside classmates such as Marlon Brando, Maureen Stapleton, Montgomery Clift, Herbert Berghof, Sidney Lumet, and about 20 others. In 1948 he added another credit to his resume, becoming co-director as well as choreographer for Look Ma, I’m Dancin’! ; and the year after that teamed with Irving Berlin to choreograph Miss Liberty. While he was forging a career on Broadway, Robbins continued to work in ballet, creating a string of inventive and stylistically diverse works including Interplay, to a score by Morton Gould, and Facsimile, to music by Leonard Bernstein, a ballet that was banned in Boston [CK]. 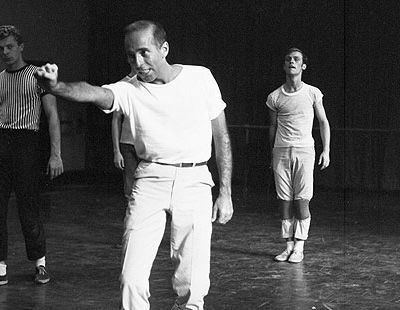 In 1949 Robbins left Ballet Theatre to join George Balanchine and Lincoln Kirstein’s newly formed New York City Ballet as Associate Artistic Director. Soon after that he choreographed The Guests, a ballet about intolerance. At New York City Ballet Robbins distinguished himself immediately as both dancer and choreographer. He was noted for his performances in Balanchine’s 1929 “The Prodigal Son” (revived expressly for him), Til Eulenspiegel, and (with Tanaquil LeClercq) Bouree Fantasque, as well as for his own ballets, such as Age of Anxiety, The Cage, Afternoon of a Faun, and The Concert, in all of which LeClercq played leading roles. He continued working on Broadway, as well as, staging dances for Irving Berlin's Call Me Madam, starring Ethel Merman, Rodgers and Hammerstein's The King and I, in which he created the celebrated “Small House of Uncle Thomas” ballet in addition to other dances, and the revue Two’s Company, starring Bette Davis. West Side Story is a contemporary version of Romeo and Juliet, set in Hell's Kitchen. The show, with music by Leonard Bernstein, marked the first collaboration between Robbins and Stephen Sondheim, who wrote the lyrics, as well as Arthur Laurents, who wrote the book. Because book, music, and dance were envisioned as an organic whole, the cast, in a Broadway first, had to be equally skilled as actors, singers, and dancers. To help the young cast grow into their roles, Robbins did not allow those playing members of opposite gangs (Jets and Sharks) to mix during the rehearsal process. He also, according to dancer Linda Talcott Lee, "played psychological games" with the cast: “And he would plant rumors among one gang about the other, so they really hated each other.” Although it opened to good reviews, it was overshadowed by Meredith Willson's The Music Man at that year's Tony Awards. West Side Story did, however, earn Robbins his second Tony Award for choreography. The streak of hits continued with Gypsy (1959), starring Ethel Merman. Robbins re-teamed with Sondheim and Laurents, and the music was by Jule Styne. The musical is based—loosely—on the life of stripper Gypsy Rose Lee. In 1956 Robbins’ muse, Tanaquil LeClercq, contracted polio and was paralyzed; for the next decade Robbins largely withdrew from his activities at New York City Ballet, but he established his own small dance company, Ballets USA, which premiered at the inaugural season of Gian Carlo Menotti’s Festival of the Two Worlds in Spoleto, Italy in June 1958, toured Europe and the US under the auspices of the State Department, and appeared on television on The Ed Sullivan Show. Among the dances he created for it were N.Y. Export: Opus Jazz and Moves. In 1962, Robbins directed Arthur Kopit's non-musical play Oh Dad, Poor Dad, Mamma's Hung You in the Closet and I'm Feelin' So Sad. The production ran over a year off-Broadway and was transferred to Broadway for a short run in 1963, after which Robbins directed Anne Bancroft in a revival of Bertolt Brecht’s Mother Courage and Her Children. In all, he was awarded with five Tony Awards, two Academy Awards, the Kennedy Center Honors (1981), the National Medal of Arts (1988), the French Legion of Honor, three honorary doctorates, and an Honorary Membership in the American Academy and Institute of Arts and Letters.